If you had gone for a screening of Kalank, you might have been impressed by the opulent frames of the film. You might have loved the performances of the cast, especially that of Alia Bhatt and Varun Dhawan. And you might have also been disappointed about how sagging and stretched the whole saga is. 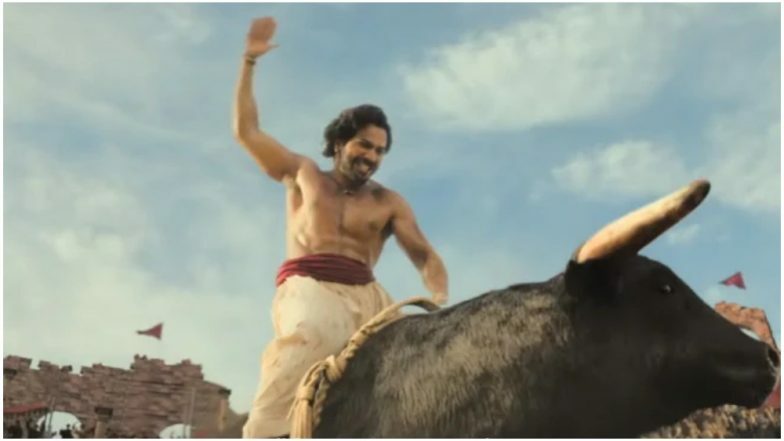 But there is one scene in Kalank that you might not be able to forget very easily - the bull-fight sequence. Kalank Movie Review: Alia Bhatt, Varun Dhawan, Kunal Kemmu Shine in a Beautifully-Framed but Dull Love Saga Set During the Partition. You had seen glimpses of the scene in the trailers as well as in the posters. But the scene in the final movie is something else. You had a laugh over Alia's skeletal hand in the trailer? Well, have a bigger laugh of how Varun Dhawan's Zafar has a serious tussle with an atrociously fake bull! One of the viewers has even managed to get a clip of the scene. Sad to say but #Kalank is Kalank of 2019. @karanjohar You should pay more attention to the script. It seemed like I was watching TV serial. Bull fight VFX is poor. take inspiration from other directors. God😢What a hell of #Kalank! Will win best Visual effects for the Bull fight. What hurts more than the bad VFX of the scene, is that it was totally not required in the film. The sole purpose of the entire sequence is to make Varun Dhawan display his bronzed abs through the unnecessary bravado of Zafar to impress Roop (Alia Bhatt). 'Cos girls fall for guys who risk their lives attempting dangerous stunts, right? Kalank, directed by Abhishek Varman and produced by Karan Johar, also stars Sanjay Dutt, Madhuri Dixit Nene, Aditya Roy Kapur, Sonakshi Sinha, Kunal Kemmu and Kiara Advani. Kriti Sanon has a special appearance in a song sequence.